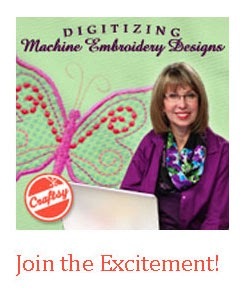 Cookie's Embroidery and Sewing Creations: Fear of Flying has been overcome thanks to machine embroidery! Fear of Flying has been overcome thanks to machine embroidery! Work, family, and even hobbies can force us to face our fears. At times, this can mean confronting a long-held fear from childhood, but it can also be times in which we must perform a skill in which we lack confidence. I remember being on a plane with my dear friend, Pat Patterson, who shares my fear of flying. 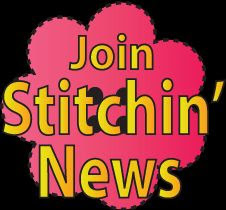 Pat and I became friends after meeting through an online embroidery forum. We did exactly what we tell our kids not to do and exchanged info and met up. Pat and I became fast friends and soon decided to be daring and fly to Las Vegas to participate in one of the earliest embroidery conferences. Pat and I white-knuckled it together on the flight over. We quickly realized that if the plane went down, our children would never want our machines and they would go wasted. We began writing our wishes on paper. We left each other every machine with the exception of our simple straight sewing machines. We knew our kids would need at least one decent sewing machine, whether they believed it or not. Being able to mend items at midnight matters! Luckily, we arrived safely in Las Vegas and had a fabulous time, purchasing tons of designs and connecting with fellow embroidery enthusiasts. Brimming with new sewing tips and ideas, we flew back to Atlanta, still nervous during the flight, but no longer writing out last will and testaments. What I learned from this experience was that my “fear of flying” was less about planes and more about my lack of confidence in exploring places on my own. Few people would work for the airlines if planes crashed on a regular basis. They really are safer than car travel. And the real laughter I have is coming to the realization YEARS LATER, that if the plane had crashed, neither Pat or I would have "inherited" our prized machines. In fact, no one would have read our lists! What made me revisit this experience was my recent travels to California to teach machine embroidery-related classes. During that trip, I met up with Betsy Phillips, another attendee from the Las Vegas event of so many years ago. We reminisced about that spectacular time and as we parted, I was again struck by how a hobby can be the catalyst to helping us conquer our fears. Cookie, you didn't embellish the story in the least. 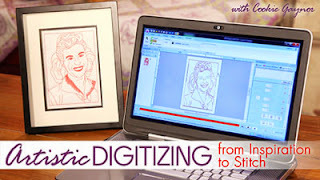 I still remember our talk about leaving our embroidery machines, designs, software, etc. to each other. My husband, after reading your blog, said he never knew this. Sometimes we have to keep things to ourselves! I'm proud of you for overcoming your fear of flying. I need to work on that!